The Hampta Pass trek takes you to into the dense jungles and open meadows of the Pir Panjal mountain range near Manali on a easy, 5-day adventure. During the trek, you'll hike over rock-strewn trails, pass small hillside villages, hike alongside a gushing river stream and admire absolutely stunning views of a lush green valley. As you progress further, you'll witness a dramatic change in the scenery as you cross Hampta Pass and enter the arid and cold mountains of the Spiti Valley. 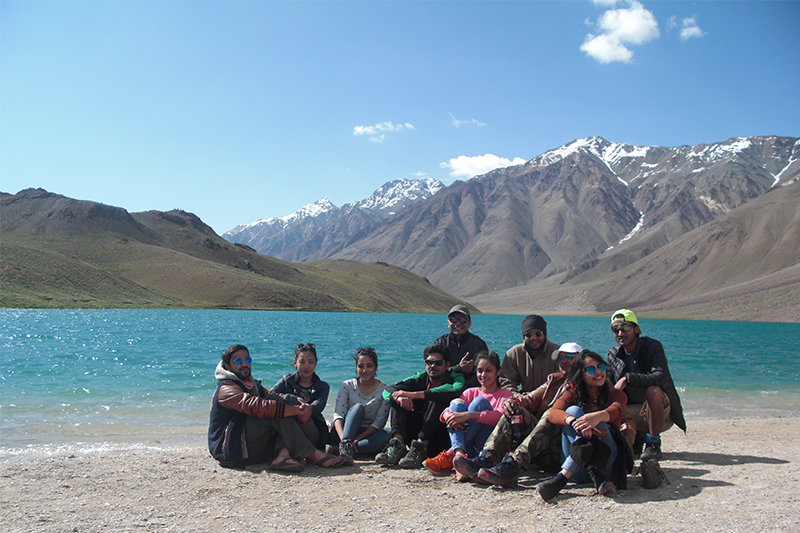 A major highlight of the trek, you'll visit the cresent-shaped Chandratal Lake and its turquoise blue waters, a perfect destination to click some amazing photos. One of the most beloved treks near Manali, the Hampta Pass trek attracts hundreds of travellers with all levels of experience each year. Decades ago, this high-altitude mountain pass connected the two regions of Manali and Spiti Valley in Himachal Pradesh. Even today, native villagers continue to use the trail and local shepherds are often seen using the green meadows of the trail as grazing fields for sheep and goats. The pass is named after the namesake Hampta village, located at the base of the mountain pass. • Cross the Hampta Pass at more than 14,000 feet of elevation. 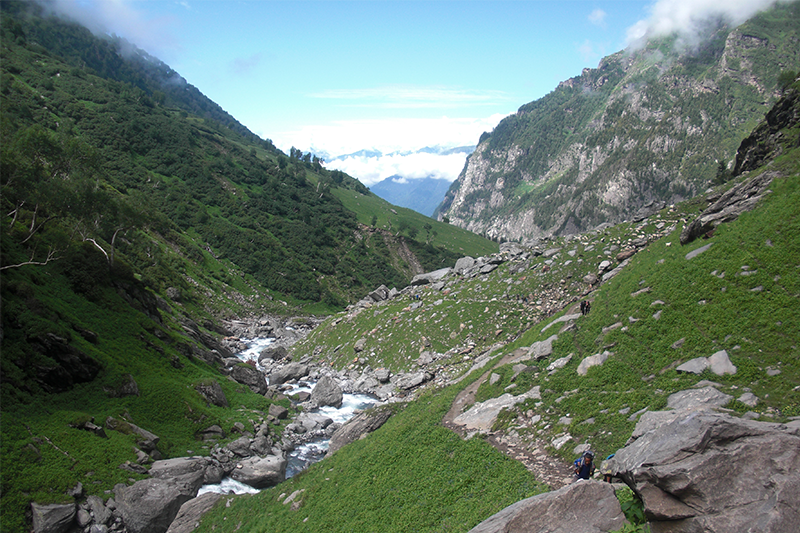 • Embark on an easy yet rewarding trek in Himachal Pradesh. 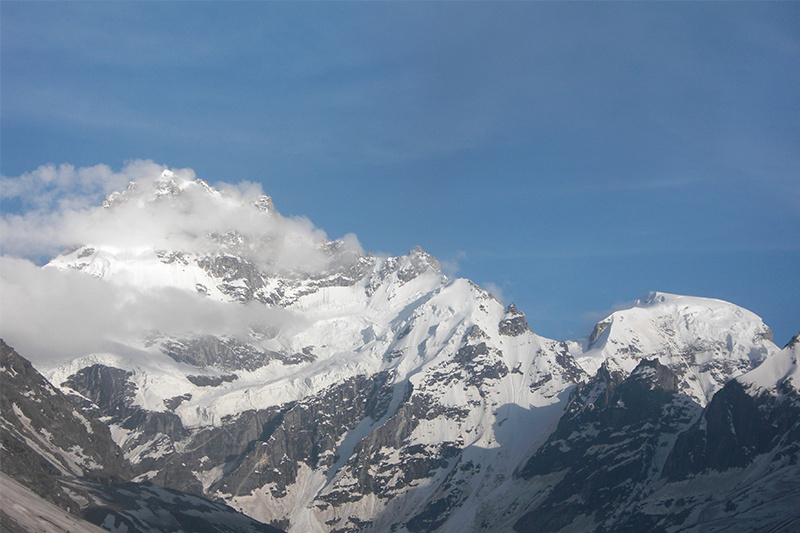 • Spend 5 days trekking in dense forests and mountains. 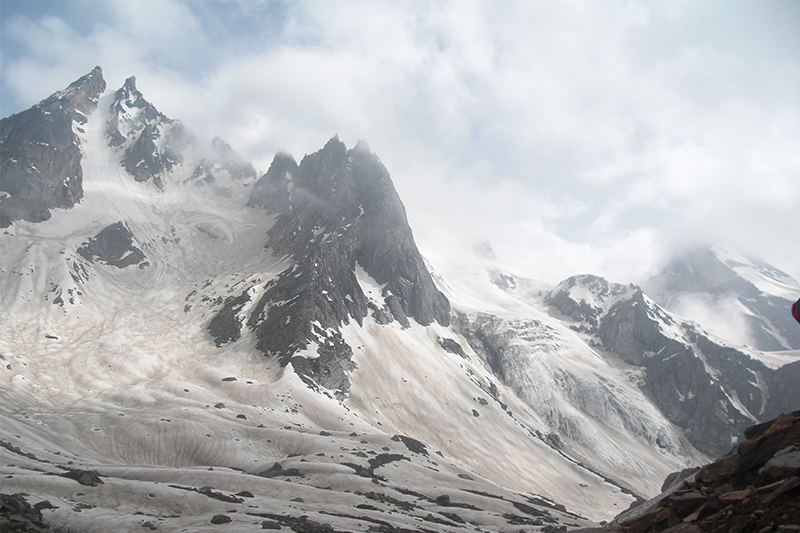 • Get views of the differing landscapes of Manali and Spiti. • Visit the enchanting moon-shaped Chandratal Lake. • Camp in tents at scenic locations and wake up to misty mornings. Travellers are required to follow instructions of the trek leader during the trek to Hampta Pass. 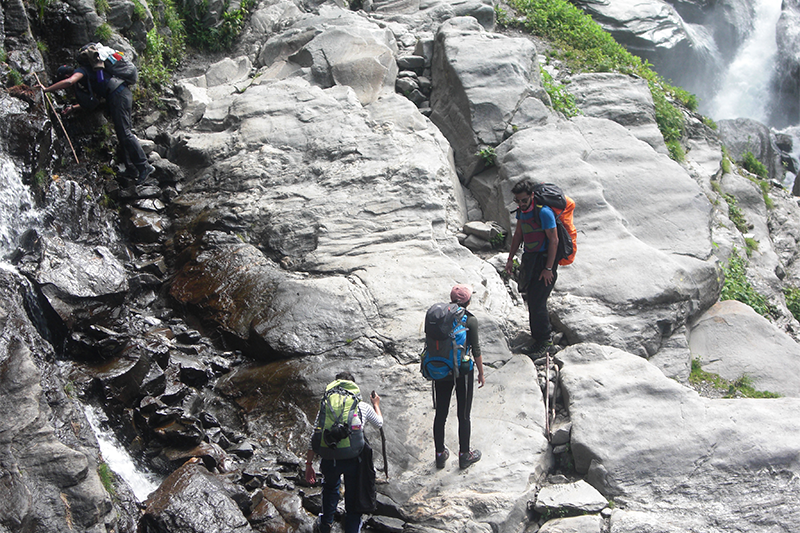 Consumption of alcohol, drugs and tobacco products like cigarettes is strictly prohibited during the trek. For cancellations made more than 45 days before departure date of the Hampta Pass trek: 100% refund. For cancellations made 16-45 days before departure date of the Hampta Pass trek: 80% refund. For cancellations made 8-15 days before departure date of the Hampta Pass trek: 50% refund. For cancellations made 2-7 days before departure date of the Hampta Pass trek: 25% refund. For cancellations made less than 2 days before departure date of the Hampta Pass trek: no refund. The tour operator takes utmost care to ensure maximum safety of travellers and will not be held responsible for any accident, mishap or loss of life or property during the trek to Hampta Pass. The tour operator reserves the right to alter or cancel the itinerary of the trek to Hampta Pass due to any unforeseen circumstances such as bad weather or natural calamities. Travellers will bear any costs arising due to such a change in the itinerary. 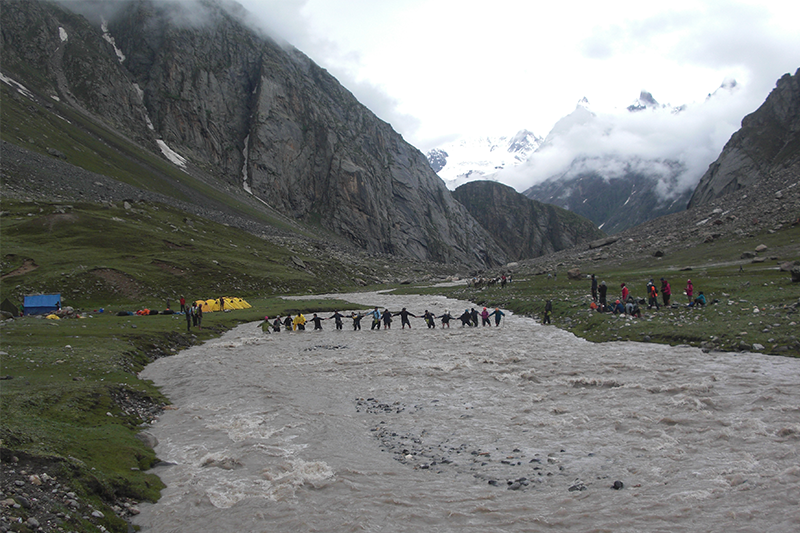 Report to Manali in the morning and meet your fellow trekkers and your trek leader. You'll board a private vehicle and travel to Jobra. From here, you'll begin the 2-hr trek to Chika. This trail will take you through short river crossings and plush meadows with views of snow-capped peaks on the horizon. On arriving at Chika, sit back, relax and enjoy gorgeous views of the mountains. Overnight in tents at Chika. Panoramic views of the valley with towering mountains on either side. An exciting trek from Chika to Balu ka Gera is on the cards for today. After a hot, morning tea with views of the Himachali landscape, you'll head out and make your way over a craggy mountain path that meanders across green forests. The day's campsite at Balu ka Ghera is located on a mountain slope just a short distance away from Hampta Pass. In the evening, admire gorgeous views of the cherry red sunset. Overnight in tents at Balu ka Ghera. It's finally time to visit the Hampta Pass. Today on the trail, you'll notice the landscape changing from lines of trees to fields of barren rocks. As you ascend to the Hampta Pass, you'll climb past the namesake Hampta village. Descend to Sia Goru on the other side of the pass by late afternoon. Overnight in tents at Sia Goru. Views of snow-swept mountain slopes in the distance. After yesterday's steep climb, today's trail to Chatru will present relatively easier challenges. With views of mountain ranges in the Spiti Valley, you'll descend to Chatru. 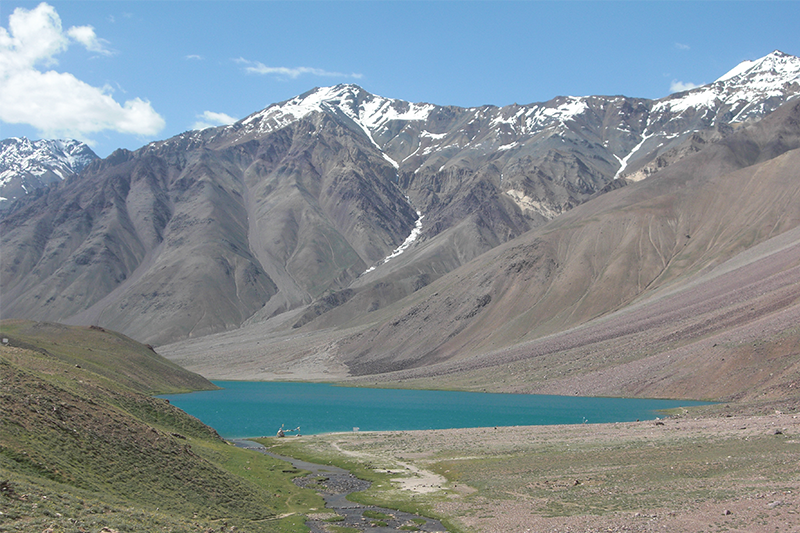 In the afternoon, you can board a vehicle and travel to the cresent-shaped Chandratal Lake. Return to Chatru by late evening. Overnight in tents at Chatru. 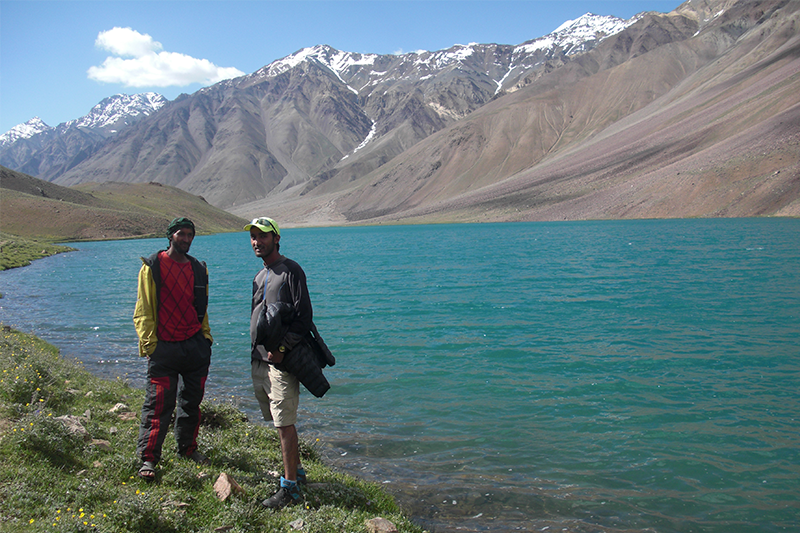 Visit the cresent-shaped Chandratal Lake. You will travel back from Chatru to Manali via the famous Rohtang Pass. You'll reach Manali by late evening. Your trek to Hampta Pass ends here. Cross river streams and trek over mountain trails. • Please carry any prescribed medication and a personal first-aid kit. Drive from Manali to Jobra and trek from Jobra to Chika. You'll be accommodated in tents at Chika. Today's meal package includes lunch and dinner only. Trek from Chika to Balu ka Ghera. You'll be accommodated in tents at Balu ka Ghera. Today's meal package includes breakfast, lunch and dinner only. Trek from Balu ka Ghera to Sia Goru. You'll be accommodated in tents at Sia Goru. Today's meal package includes breakfast, lunch and dinner only. Trek from Sia Goru to Chatru. You'll be accommodated in tents at Chatru. Today's meal package includes breakfast, lunch and dinner only. Drive from Chatru to Manali. Today's meal package includes breakfast and lunch only. Manali is accessible via road and air. You can board a flight to the Kullu-Manali Airport at Bhuntar or book a bus ride from nearby cities like Chandigarh and Delhi. The exact pick-up point in Manali will be communicated after confirmation of the booking. 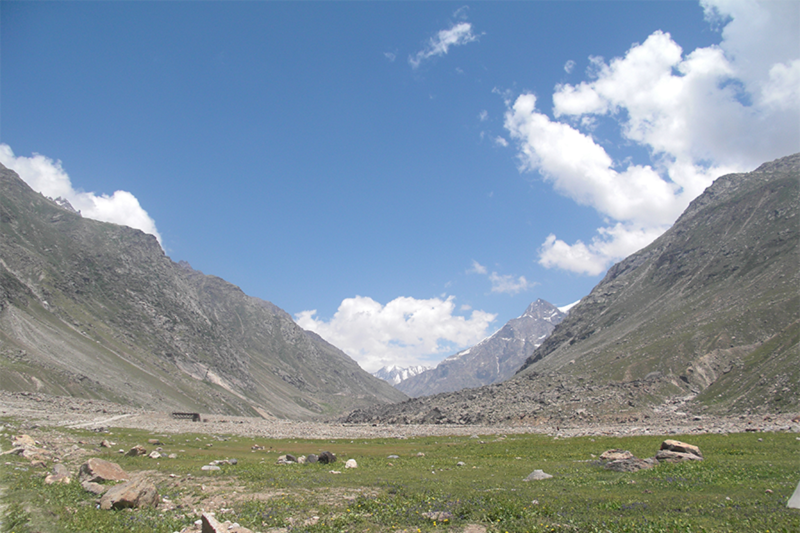 The tour operator will arrange your transport to the start point of this Hampta Pass trek.